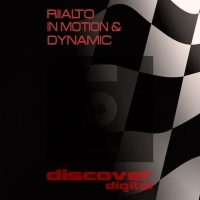 Our latest excursion on Discover Digital comes in the form of this cool two tracker from Riialto. In Motion and Dynamic typify the style of uplifting trance we love here at Recoverwworld Towers. Both tracks are strong on melody with a powerful drive that is perfect for those peak time moments when the dancefloor requires nothing less than full on anthemic action. A great label debut from Riialto. 'In Motion / Dynamic' is available now from Beatport and iTunes.